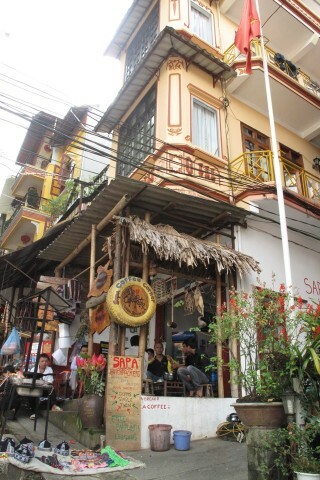 Next door to Thai Binh Hotel, on Ham Rong Street, Sapa Backpackers pitches itself as a community centre with rooms. The community centre is primarily the small room on the ground floor that acts as an English-language school for kids, although the front terrace also appears to be a gathering point for local men. With no reception area it’s a case of wandering over and waiting for one of the crowd to jump up and offer assistance. This really is not a salubrious place but the dorm rooms are reasonable, with just four comfy-enough looking beds (two bunks) to a room and a tiny shared bathroom on each of the floors. Towels and toilet roll are on a help yourself basis – help yourself from the basket in the corridor. Private rooms are overpriced but at only US$3 a bed, the dorms are the cheapest we found in Sapa.